One of America's hottest shows returns! 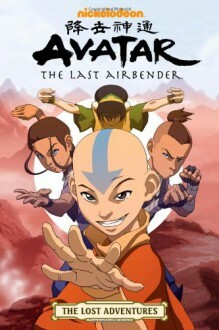 For three years, millions of eager fans tuned in each week to watch Nickelodeon's hit animated series, Avatar: The Last Airbender. Ever since, fans have been hungry for more - and now their wait is finally over! This volume collects the long-out-of-print, fan-favorite comics previously published in Nickelodeon Magazine and with the Airbender DVDs, plus over 70 brand-new comics pages. That's over 26 stories set in Airbender continuity, by a host of top-notch talent, many of whom worked on the original animated series itself. Shorts about what happened in between the episodes. Sokka is awesome, and my favorite character in this series.